From 1975-1979, the brutal regime of the Khmer Rouge subjected the entire population of Cambodia to slave labour, mass execution, unchecked disease and starvation. An estimated 3 million people died – over a third of the country’s population. Ratanak International works with Cambodians to restore those robbed of freedom and protect the vulnerable. We walk with survivors on their journey from exploitation to freedom, showing them the same love Jesus shows us. Our programs work to prevent exploitation, protect the vulnerable, help the trafficked return home, and restore survivors of sexual abuse and human trafficking. Cambodians are a resilient people. Just as one generation survived the Killing Fields, there is a younger generation of survivors who are overcoming the horrors of trafficking and exploitation. Because of your support, we have seen transformation, redemption and healing in the lives of so many Cambodians. You can make an impact on lives shattered by exploitation. We are seeing change! Prayer is a valuable weapon in what is clearly a spiritual battle. If you would like to receive more information or request a Board Member to come and speak to your group, please contact us through the form below. Before joining Ratanak International USA as the Country Director, Mark was the Church Partnership Liaison with a non-profit ministry involved with church planting and other evangelistic ministries in Azerbaijan, Georgia and Iran. Previously, he has also sat on the Elders Council Board for Five Stone Churches, which was involved in church planting, church renewal and strengthening. Mark enjoys teaching both internationally and domestically within a church and educational context and has a passion for evangelism to the most unreached parts of the world, especially within Muslim countries. Mark is actively involved in leading seeker small groups and discipleship, and is a participating member at Willowcreek Community Church in South Barrington, IL. 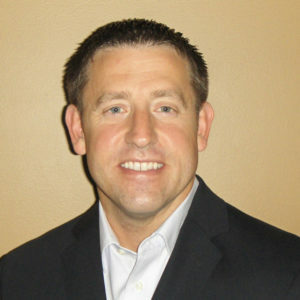 For over ten years, Mark has been gainfully employed in the fraud division for a major Insurance company in Chicago, IL. He began his career as an Investigative Assistant with the Bureau of Alcohol, Tobacco and Firearms. Mark has investigated various organized crime rings, many of which have utilized prostituted and sexual exploited women as forerunners to defraud monies from the insurance company. However, he did not fully realize the pervasiveness of the problem until he was serving in Cambodia in a different ministry capacity and had an encounter with a Cambodian who was actively involved in the sexual exploitation of children. Mark has a BS from Western Michigan University, MS from Boston University and MA in Historical and Systematic Theology from Wheaton College (IL). He also has an interest in Apologetics and has taken courses through the Oxford Centre for Christian Apologetics [OCCA]. Use the contact form below to send messages to our USA office.